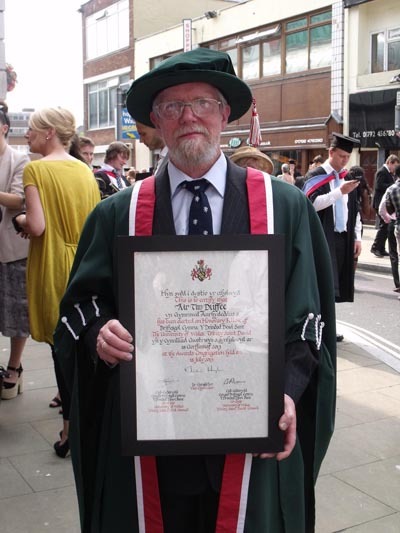 Tim Duffee has recently received an honorary fellowship from the University of Wales: Trinity St. David, recognising his contribution over the years to the University and the motorsport industry. Tim has supported Swansea Institute and Swansea Metropolitan University since 1993 when he first took an HND Automotive Engineering student on industrial placement. Swansea Institute purchased a Darrian in 1994 which formed the basis of numerous student projects including the car racing in the 1995 Welsh Racing Drivers Championship. In 1996 Tim worked closely with the Institute to run two cars in the National GT Championship of the time. The team was sponsored by the WDA and run by the students on the HND Automotive Engineering programme. The team won the championship, in their first year, against far more highly funded cars and professional teams. It then went on to race for a further three years with WDA support. The excellent publicity and reputation the Institute achieved dramatically improved recruitment and then enabled us to get the support of the motorsport industry to start the first motorsport engineering degree programme in the UK. The degree programme led to the introduction of HND, BSc and BEng programmes within the School of Automotive Engineering as well as BSc Motorsport Management in the School of Manufacturing and Logistics. Now the University attracts over 150 students each year from all over the world. The contribution Tim has made to Swansea Metropolitan University’s engineering portfolio and current status in motorsport related education cannot be overestimated. He continues to support the university with project collaboration, student placements and technical support. Students who have spent time at Darrian cars can now be found throughout the Motorsport Industry including F1, World Rally, GT and Moto GP! Unless you have a very large hi definition TV you may have missed the familiar red, white and green of John Daltons Darrian T90 GTR on the latest episode of Top Gear. 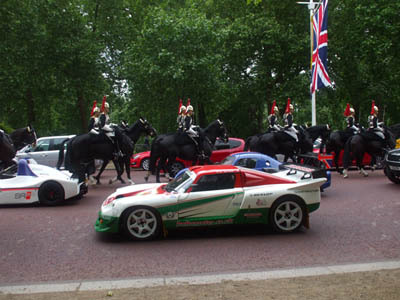 Well, we were there as one of the British Manufacturers in the automotive and motorsport industry. 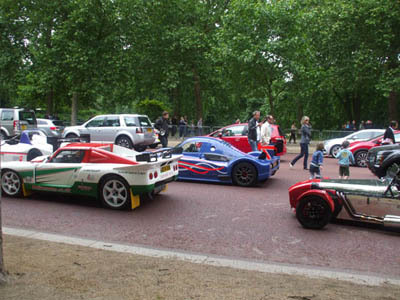 The idea of the filming, which took place in the Mall near the gates to Buckingham Palace, was to showcase that Britain is still great when it comes to the automotive industry and motorsport and that we are world leaders in the industry. There certainly were some stunning (and strange) vehicles in the Mall and it was great to be in such fine company for the day. As you can see from the images above there were some fantastic photo opportunities; When do you get the chance to photograph the Household Cavalry with your car? It was a long day but we were pleased for the opportunity to be part of this. Thank you to Top Gear and the BBC for celebrating our Great British car industry. 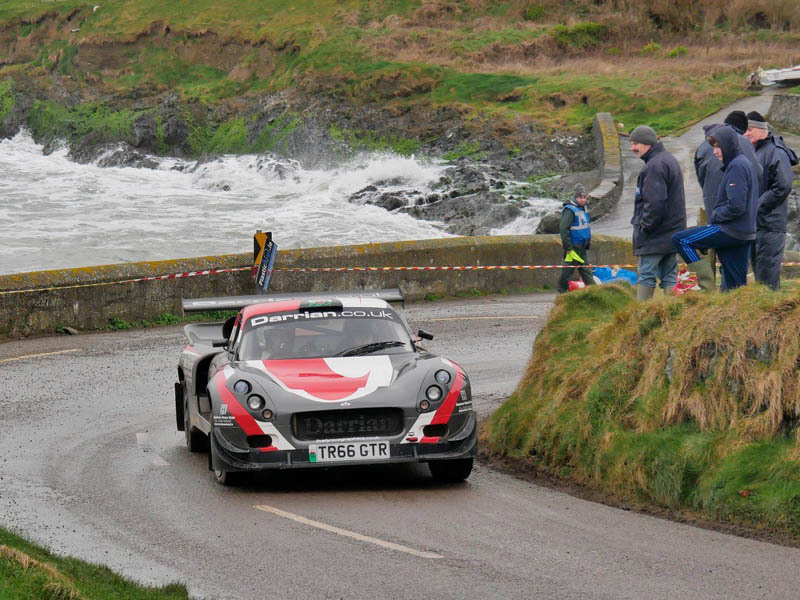 Ashley Field brought his new Darrian T90 GTR+ to the Isle of Man with high hopes, after competing on a smaller event on the island and leading overall against World Rally Cars before retiring. This time the island was also cruel to him and co-driver Janice Moore. Moore suffered from a bout of Vertigo on the Friday, the toughest day of the action on the three-day event, but still steered her driver to impressive times. With the British Rally Championship featuring some of the best drivers in world rallying, Field’s top five stage times were a credit to the crew. Ashley Field said: “What a fantastic event and atmosphere. It was great to be involved with the final round of the BRC. I’m disappointed not to finish but really encouraged by the stage times in the new car without even having to push. It was a novelty to be able to go over Druidale and not be bounced off the road. The new car was fantastic with a lot more to come from the car and crew. Walloon Motorsport Association ASAF recently held its annual meeting to prepare the 2017 season. 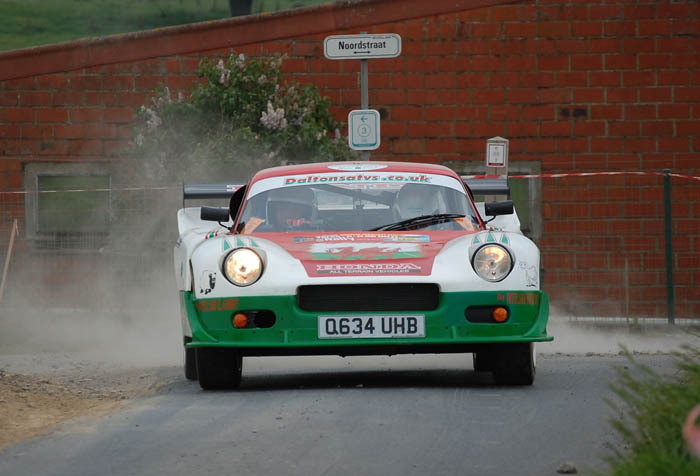 One of the updates on their regs are about UK cars, since Salamandre and Chevrotines joined both FIRC and Classic Rally Challenge, also Tournai is part of CRC. ASAF decided to make things very easy: all cars with valid MoT, road insurance and an MSA passport are eligible to start in their events. For these three events there will also be a Darrian cup with a points system equal to FIRC, best two results count and there is of course a free start to win and some prize money. This is great news as there are a lot of great closed road stages over there that have been inaccessible to Darrian drivers, until now. Hopefully we we see a lot of Darrians out on the Belgian roads this year! In 2017 Davrian turns fifty years old and to mark the occaision we will be having a celebration of Davrian and Darrian at the RallyDay in Castle Combe this September. A stand for 20 cars has been booked and as well as having the car on display you can also book track time to put on a bit of a show for the spectators. Although there are only a 20 places available (10 Davrian and 10 Darrian) on the display stand you can still bring your car along for track time as the more cars we can have out on track the better. Anyone wishing to attend with their car to display or just to use track time should get in touch. We hope to see you there in September, it should be a great day for Davrian and Darrian owners and fans. 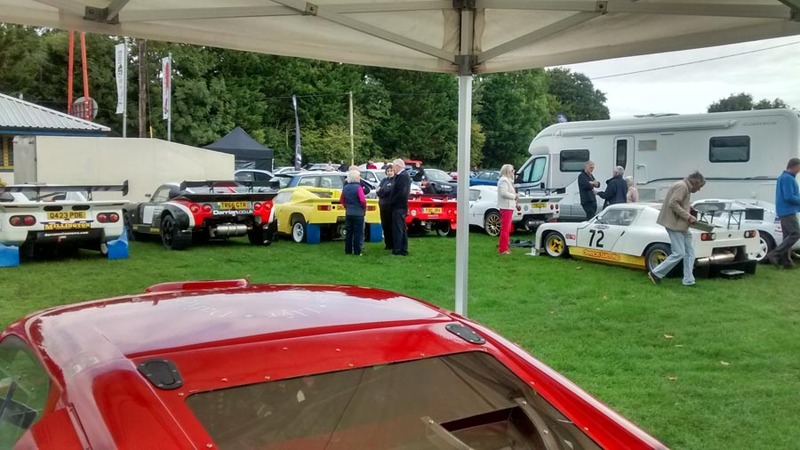 A big thank you to everyone who attended the Rally Day at Castle Combe this year to see the 50 years of Davrian and Darrian display. It was great to see so many great cars in one place and great to talk to all the owners and enthusiasts. There was a great selection interesting Davrians including chassis 001, owned by Jon Jefferey, to the Davrian Mk4 Tim Duffee built for his mother (the car that started Tims envolvement in Davrian) right up to some of the last Mk8s to be built. The variety continued with the Darrians begining with some early T9s, a T90, several GTRs and of course the latest GTR+ model. The evolution over the years from the earliest Davrian to the latest Darrian could clearly be seen. In all there were 20 Davrians and 11 Darrians. Congratulations to Dave Cooper whose immaculate Mk6 won best Davrian on the day and the honours for best Darrian went to Seamus Morris with his stunning new GTR+. 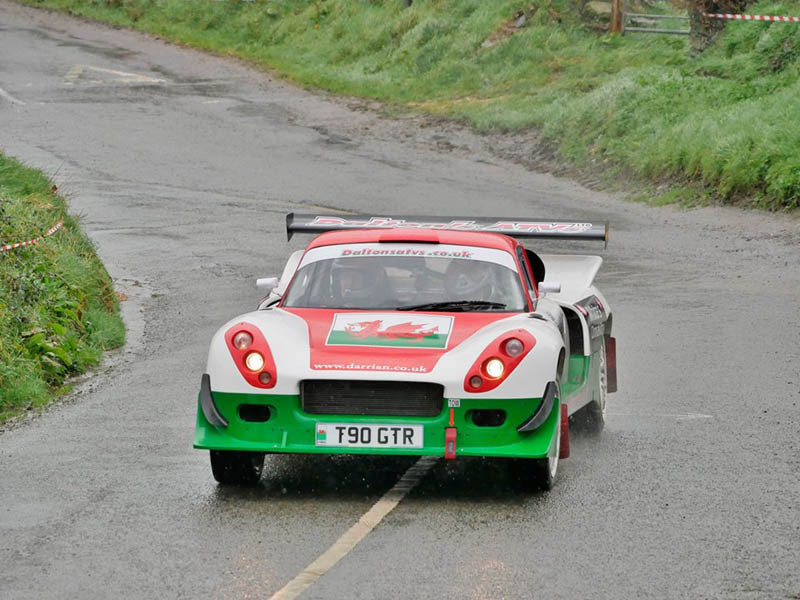 The event also marked the debut of the latest works Darrian T90 GTR+ rally car driven by John Dalton. The car ran perfectly for it's first time out on the track and now we can't wait to see it out on the stages! The Davrian and Darrian stand was very well attended all day and we hope that everyone had just as much fun as we did. Thank you to John Rawlins of the New Davrian Register for all his hard work organising the event, it was a fantastic day. "We were all really proud of the performance of the team at the weekend, the testing we did certainly made a difference. The event was as usual very friendly and welcoming and extremely well run. The stages were very challenging and varied with everything you could wish for from a tarmac rally, The pacenotes had to be spot on or you would be off! The car was a huge success and a credit to Tim (Duffee) with all his latest ideas making a contribution to achieving a big difference, there isn't any one thing that has made the car better it is a combination of things working together that has given the car it's speed, once we have put our findings from this event into the re setting up of the car I am sure we will find some time savings through the stages for subsequent events. We learnt a lot on this event about engine performance, gearing, tyres, suspension but most of all learned that we still want to win events!" Earlier this month the MSA (Motor Sports Association) announced redefined 2019 roll cage regulations. As the Darrian is a design conceived before 2005, and has a steeper A pillar, it will not be required to have extra windscreen reinforcement bars. This applies to all existing cars and new builds. Roof reinforcement bars will continue to be an option. The picture above shows Tim's first ever build which was this lovely Davrian MK4. The customer, Tim's mother Janet, could be credited with kick starting the whole Duffee chapter of Davrian and, later on, Darrian. Rest in Peace. The 2019 West Cork Rally did not really go to plan for the Works Darrian T90 GTR+ Rally team. John Dalton and Gwynfor Jones had a great St Patricks weekend but not in the Darrian as they didn't even finish the first stage. After some very promising wet weather testing before the event John and Gwynfor were really happy with the setup and felt confident and ready for any conditions in West Cork. With such a strong entry in the National event, including five time runner up to the World Championship Mikko Hirvonen, they wanted to get off to a good start in the event. Half way through the first stage they were flying and John found that he could really push the car despite the slippery conditions but a wrong line choice and a trip into a stone bank put an end to what could have been a great weekend. It's unfortunate that John and Gwynfor didn't get a chance to prove what this car can do but they will certainly be back to have another go at this fantastic event. The other Darrian on the event did finish the rally. Tony Rees and Ian Taylor took things very cautiously in the wet conditions on Saturday with the aim of keeping everything in one piece! Sunday saw much drier weather and they got a move on and pushed their way up the time sheets and by the end of the day they were posting some decent times in such a strong field. They finished 24th in the national rally and 7th in their class and there wasn't a scratch on the car!